Gardening with your children, whether working or playing, is a simple pleasure that benefits the whole family. At Fiskars we have developed tools, which help kids explore both avenues. For the youngest we have a box set of unique tools for play while for older children we have fully functioning stick tools, which let them help out with real garden work. For children, gardening time is often playtime. To encourage this, we've created My First Fiskars. 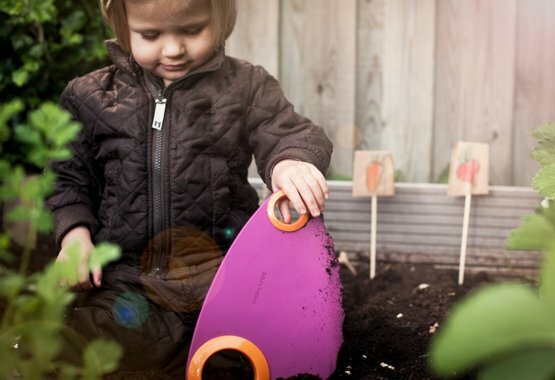 This range of gardening tools has been created with children for children. My Fiskars box set includes a spade, saw, brush and handed scoop, all perfectly sized for little hands.